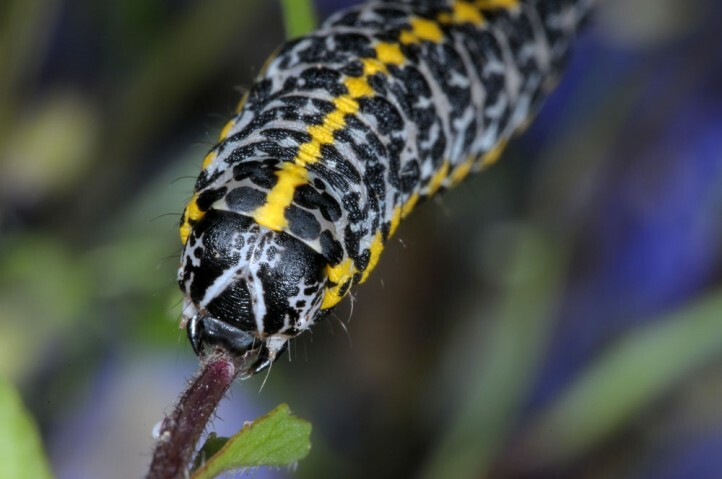 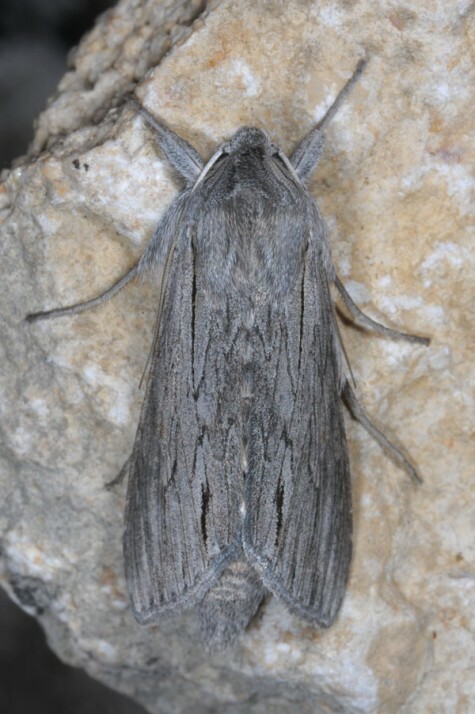 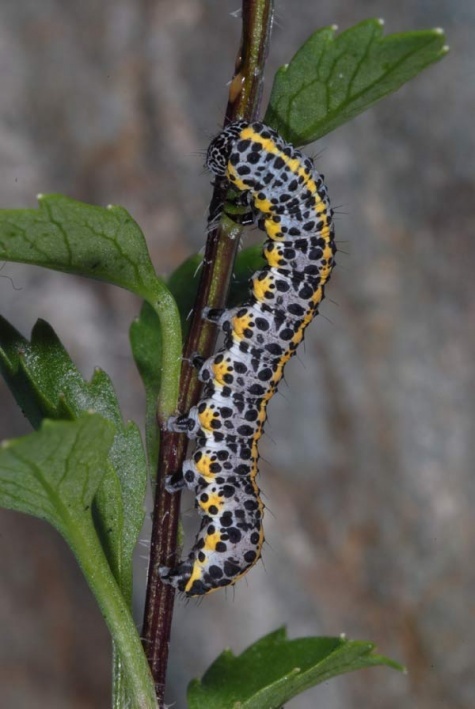 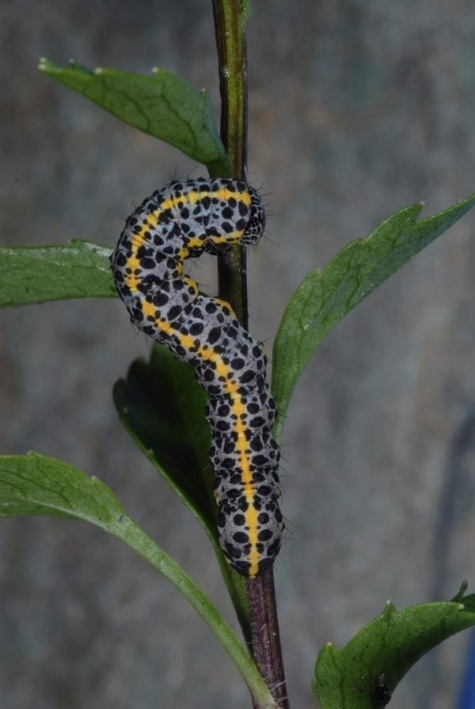 The larvae feed on Campanula species (particularly Campanula rotundifolia and C. scheuchzeri). 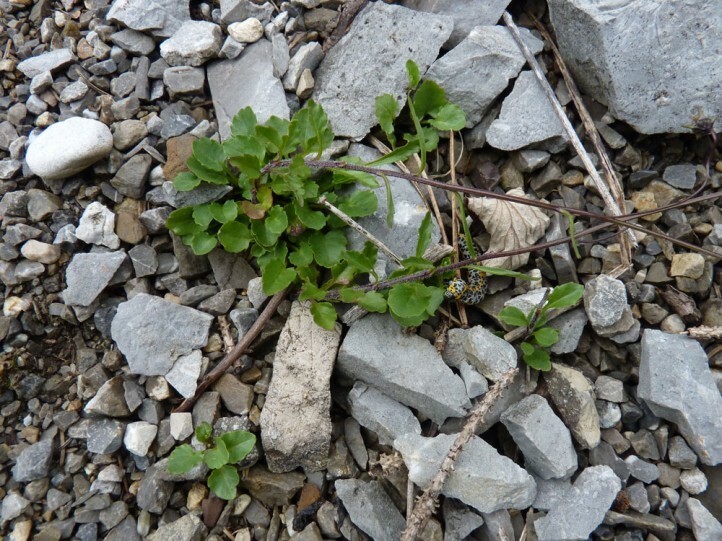 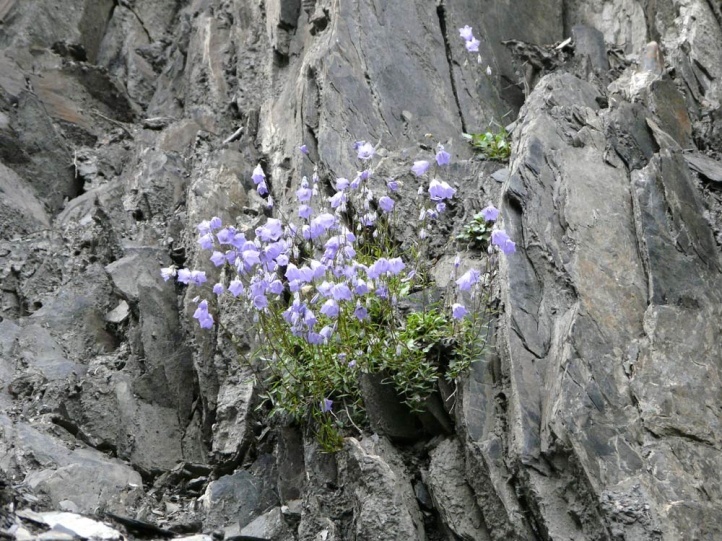 The caterpillars settle on rocky to stony surfaces sun exposed growing Campanula clumps. 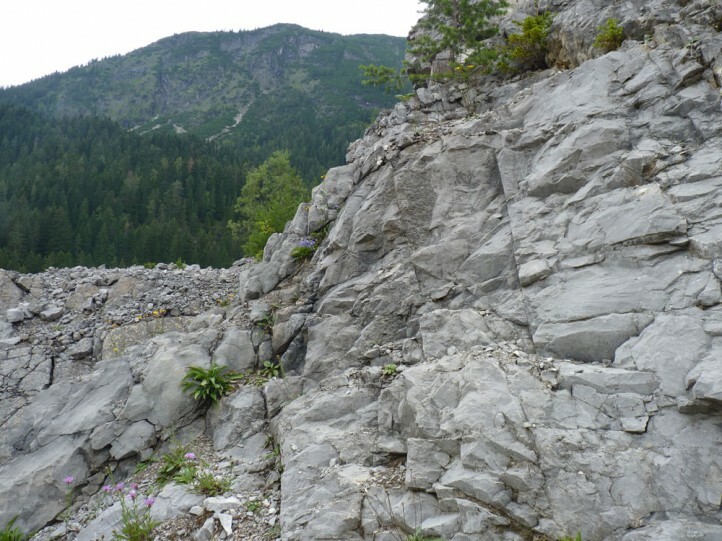 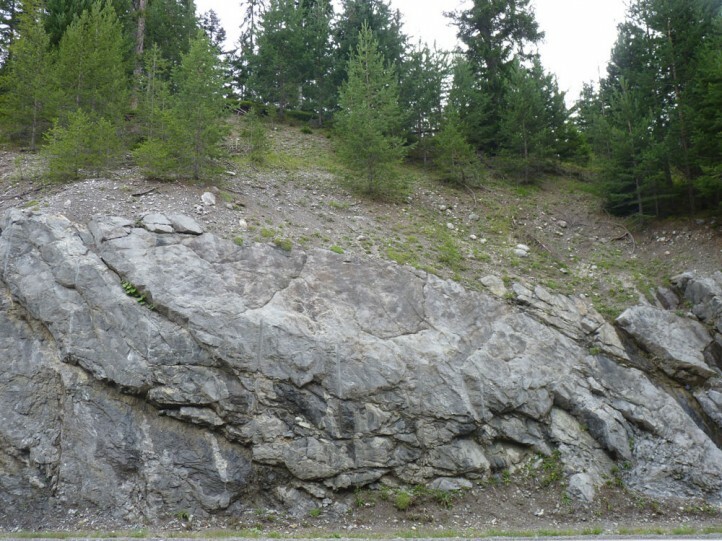 The mostly montane to subalpine habitat is generally characterized in addition to the rocky larval habitats by a mosaic of sparse forest and extensive pastures that can be mesophilic to dry. 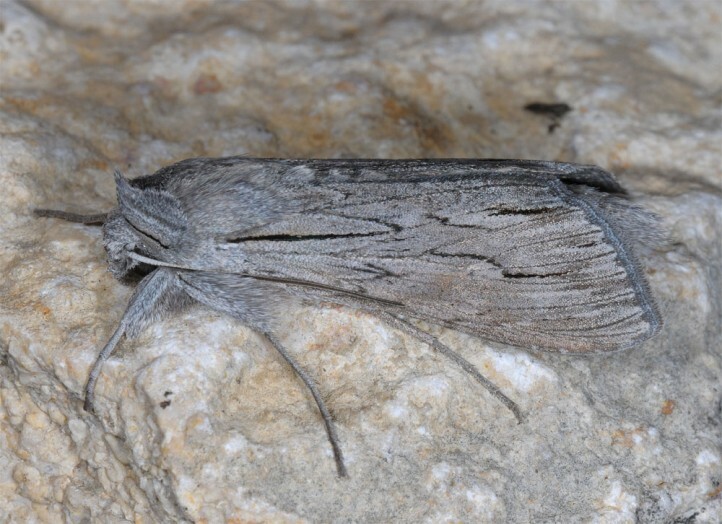 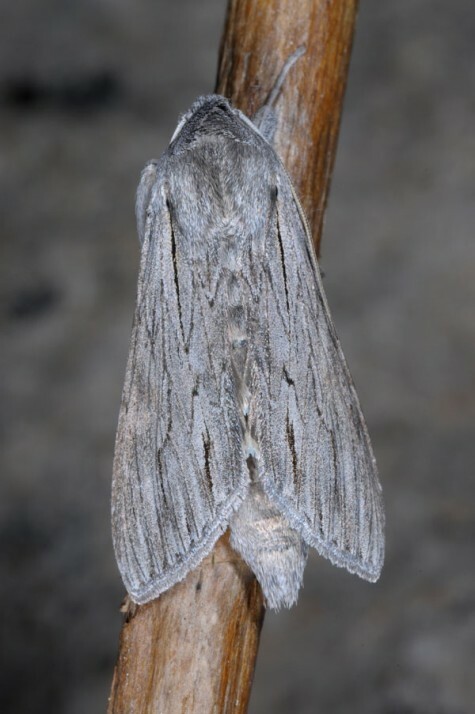 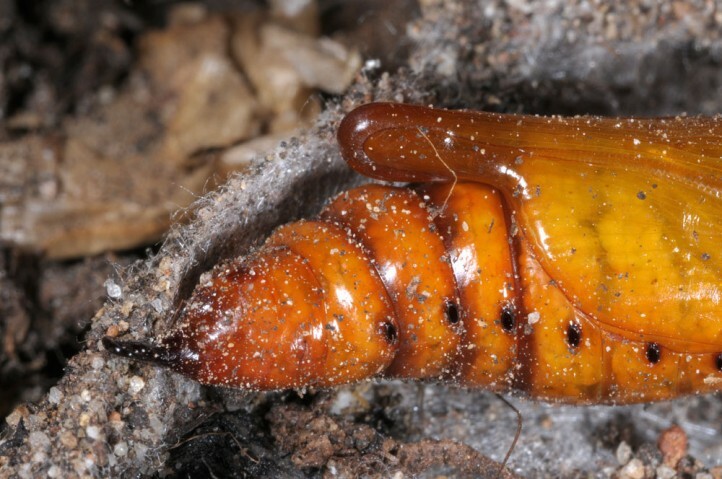 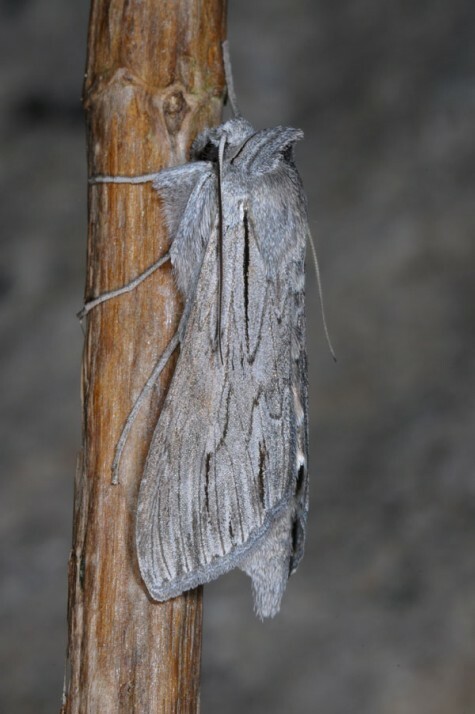 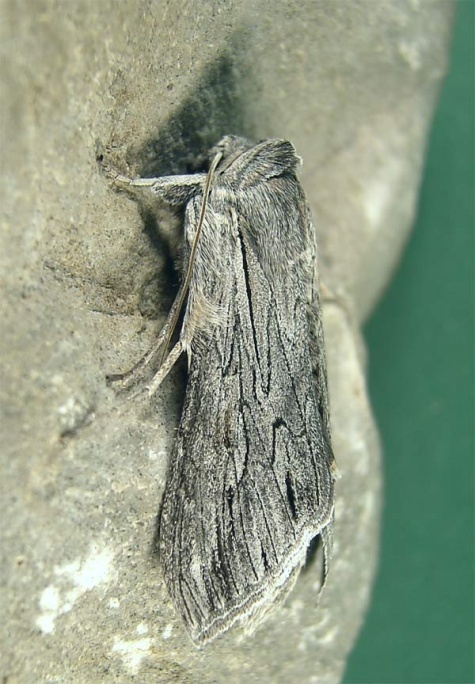 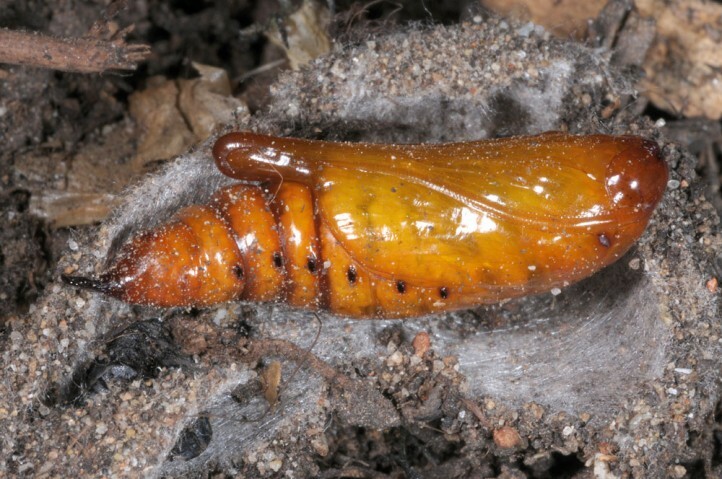 The pupa hibernates and the moths fly mostly from late May to July. 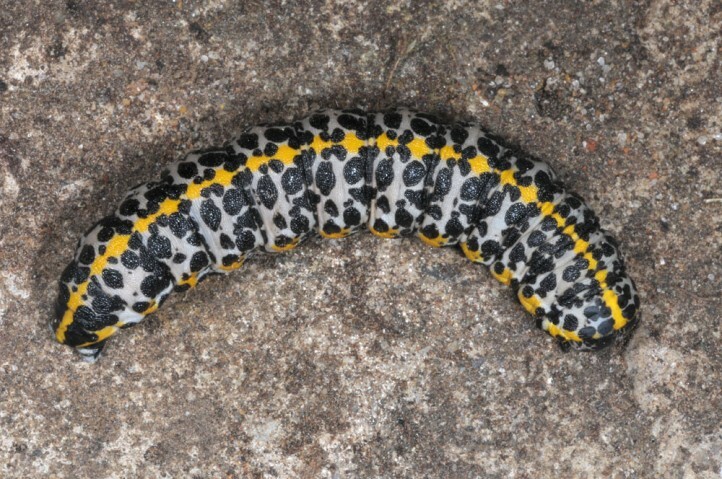 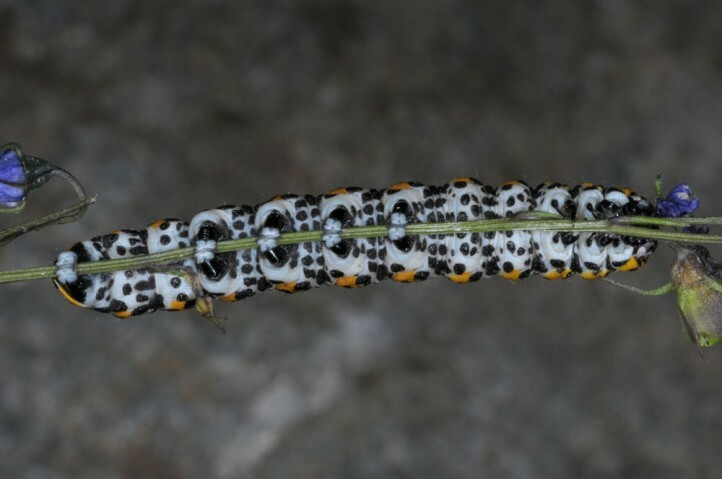 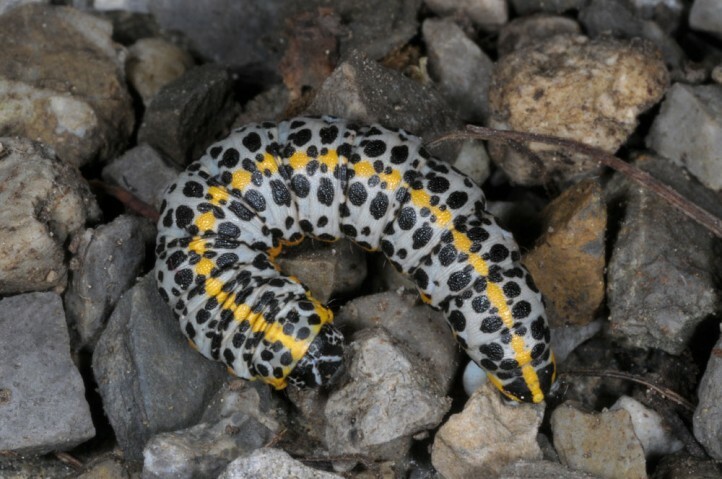 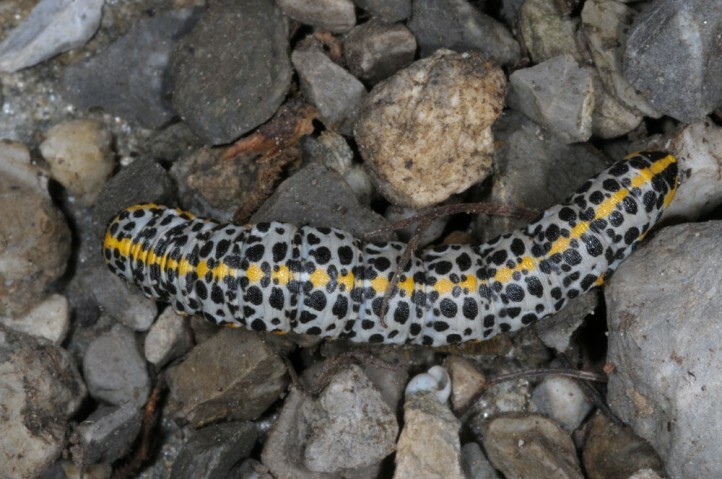 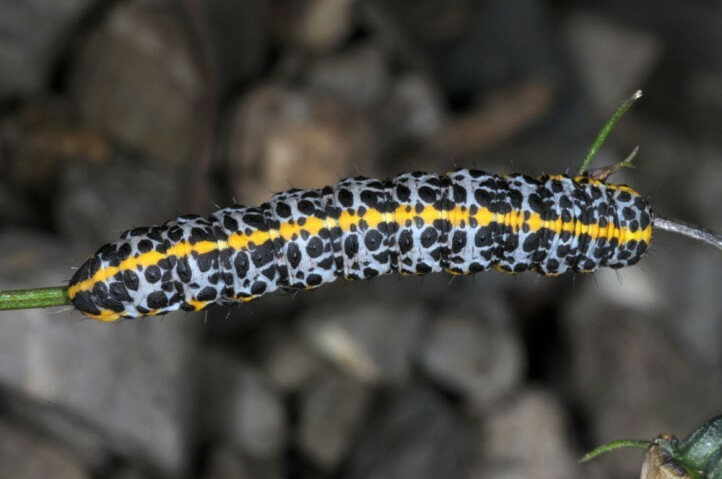 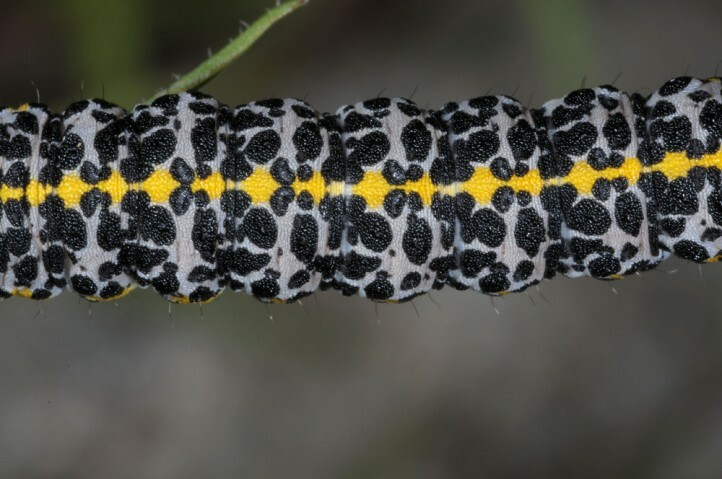 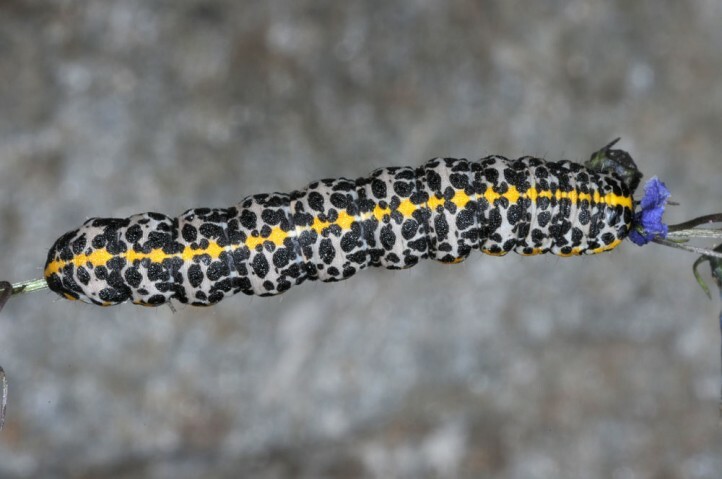 Caterpillars are found from June to September. 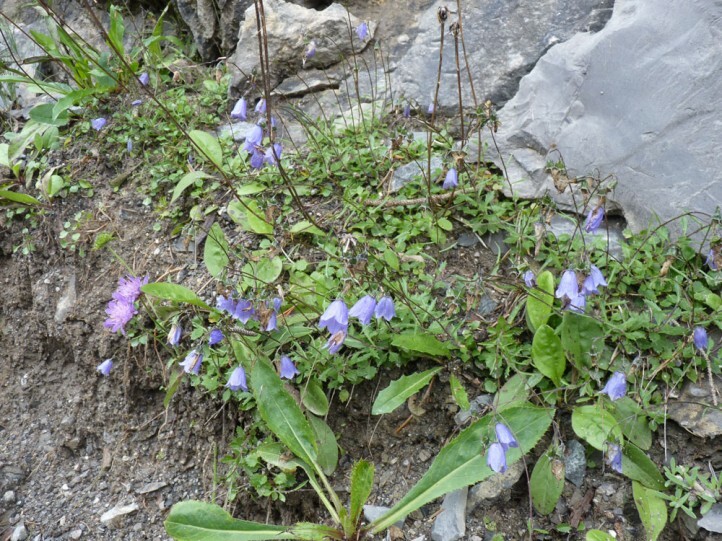 In the Alps in 1600-1800m above sea level, they live mostly in August. 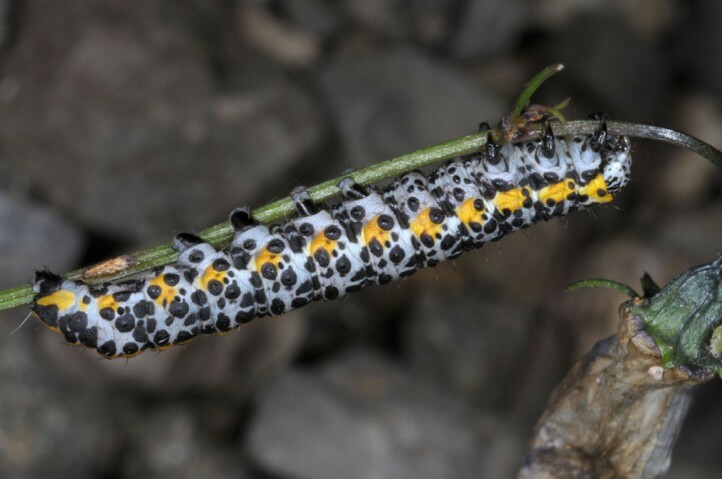 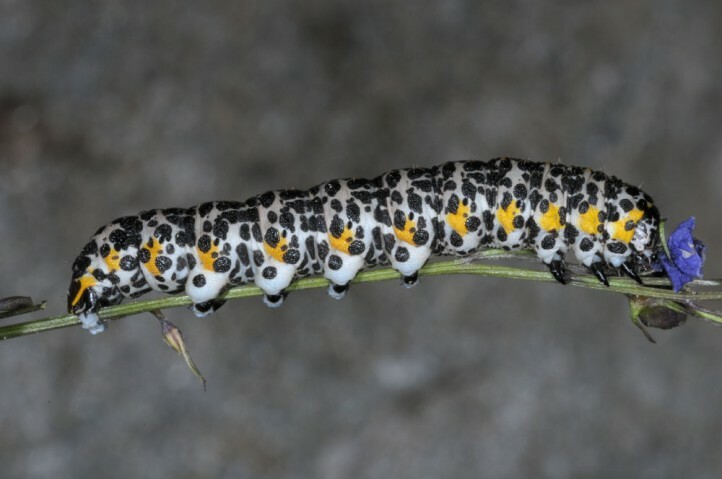 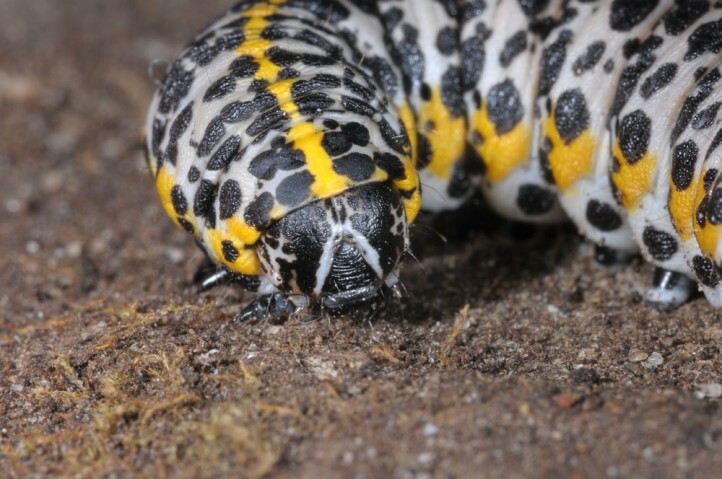 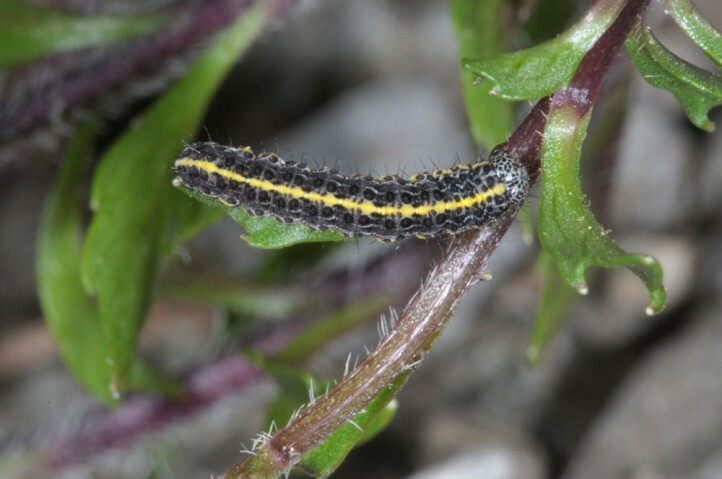 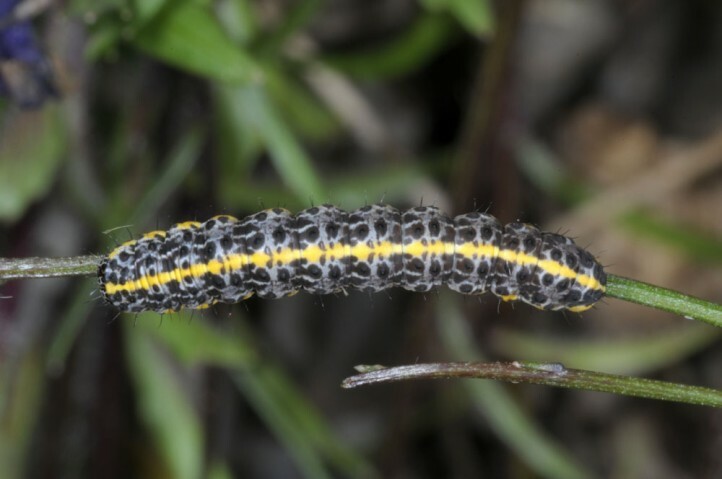 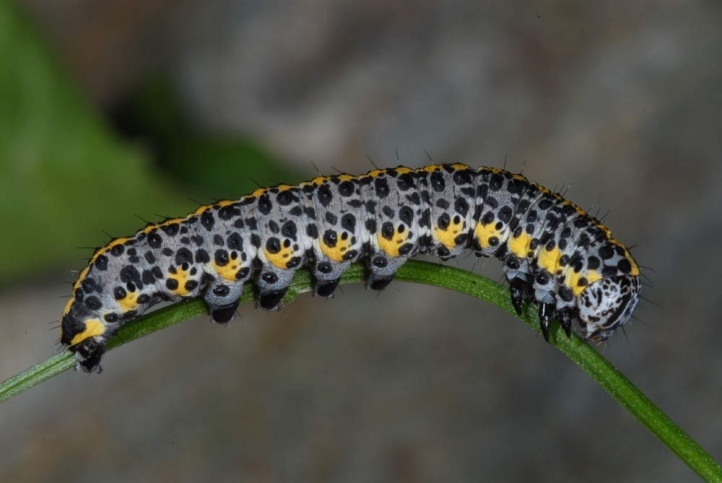 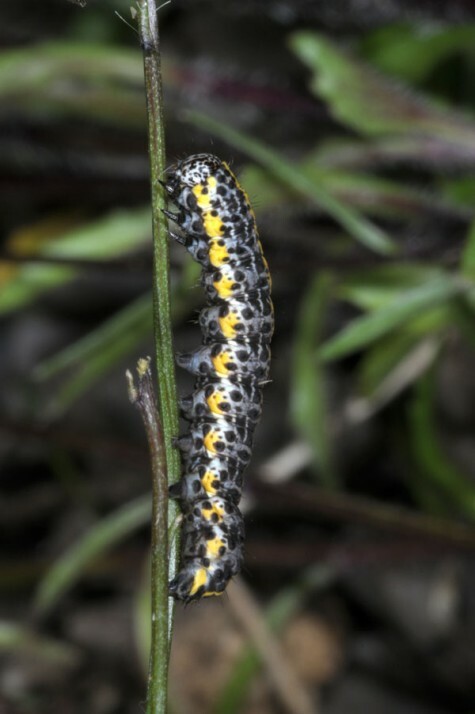 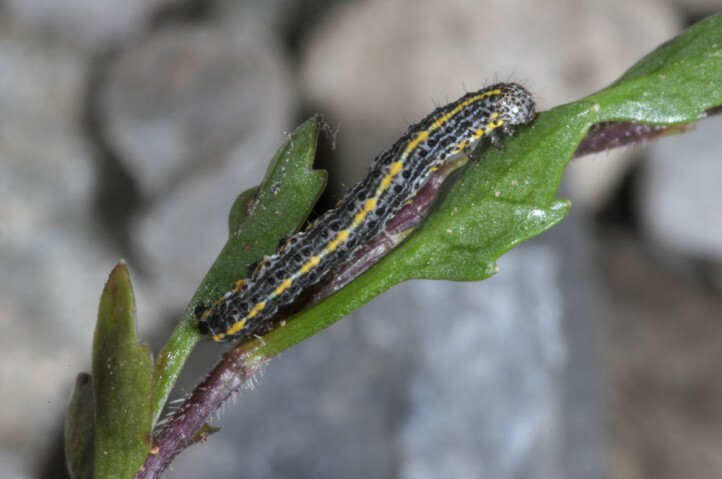 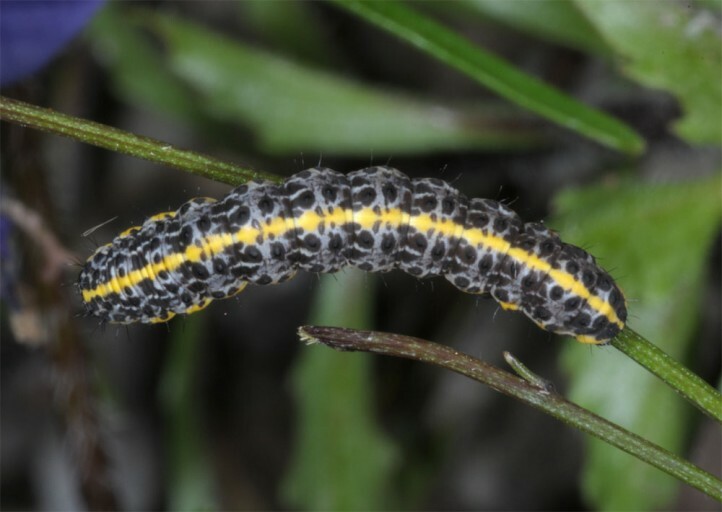 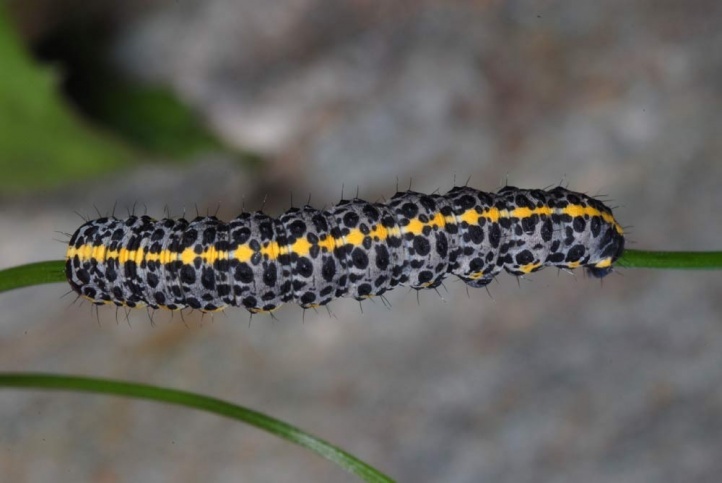 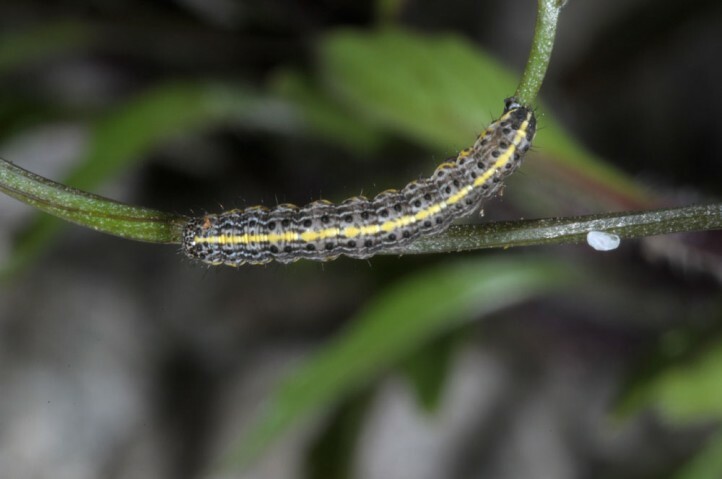 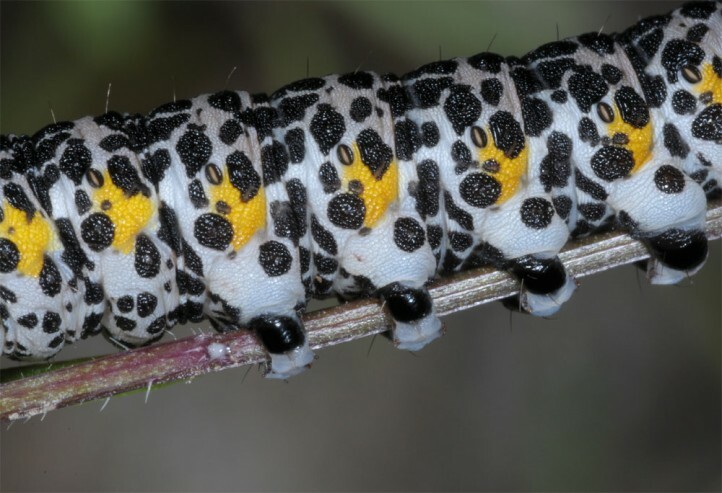 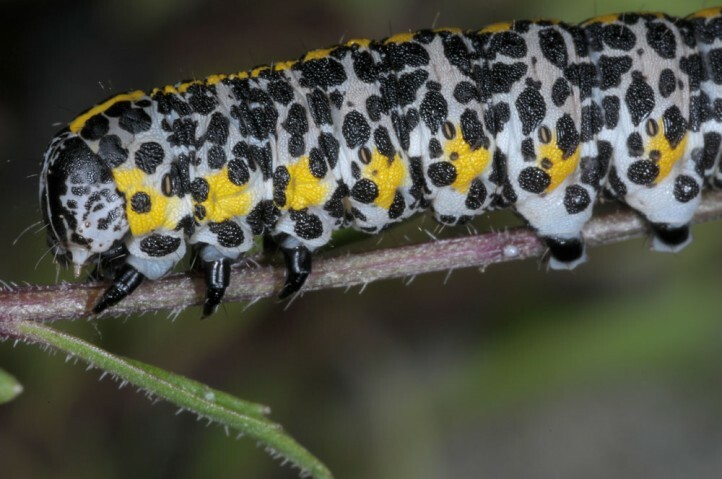 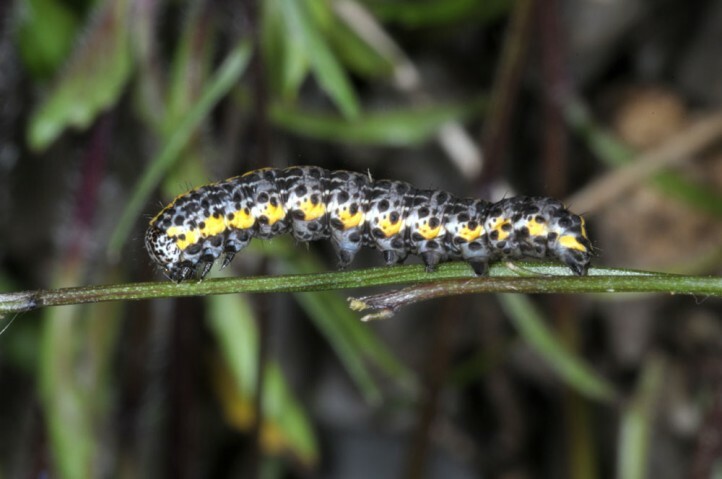 During the day, older and healthy caterpillars hide at the ground or base of the host plant, so that only parasitized ones remain on the plant. 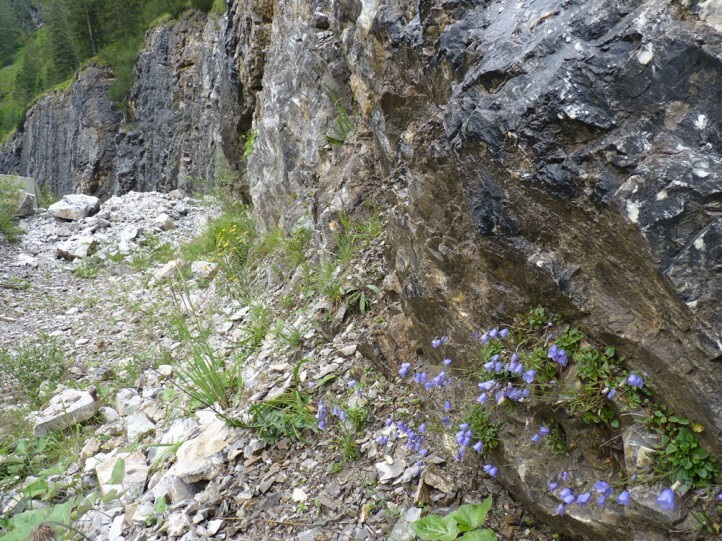 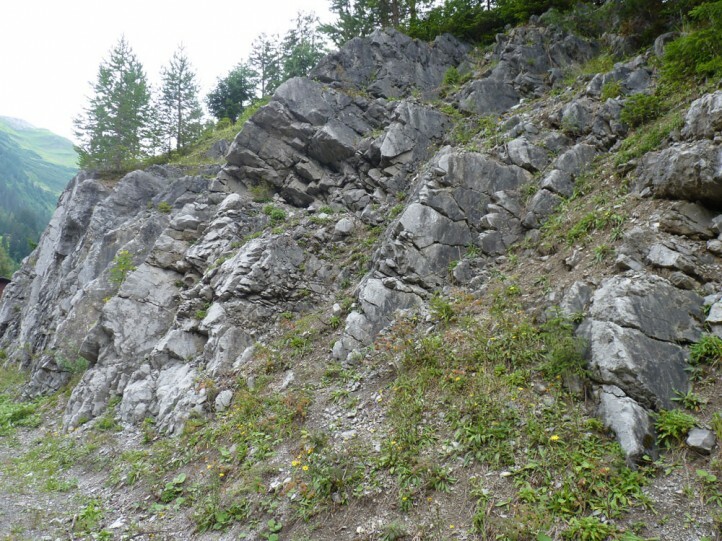 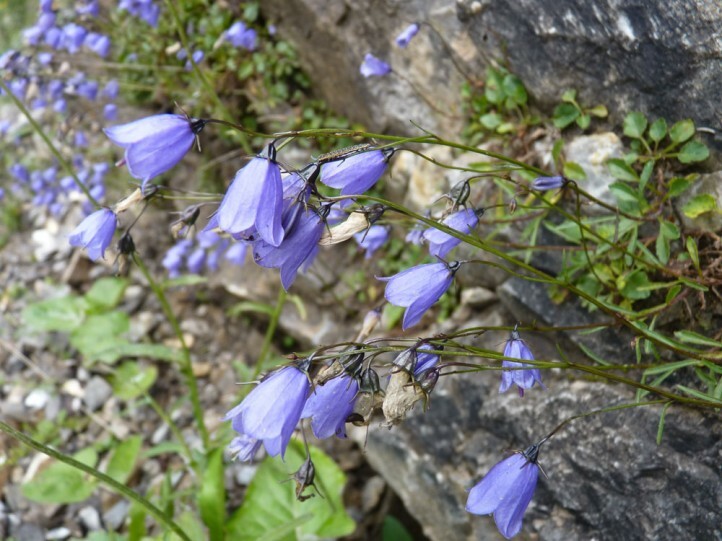 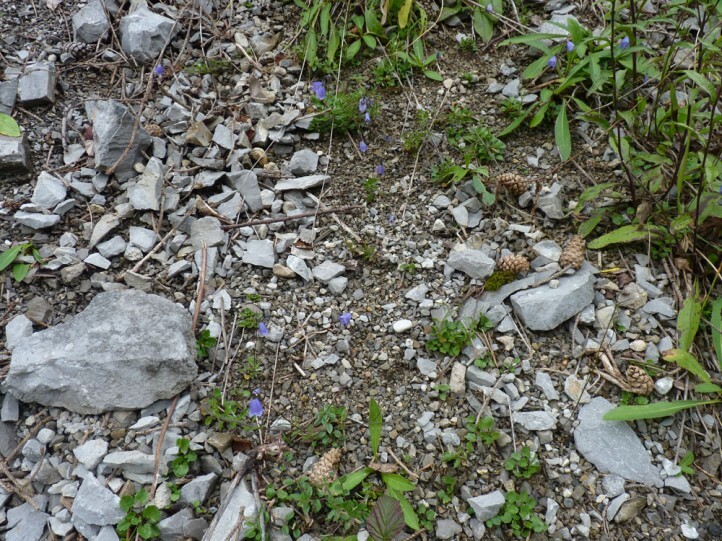 Cucullia campanulae is heavily endangered or already extinct outside the Alps because of habitat loss (reforestation and other destruction of rocky habitats). 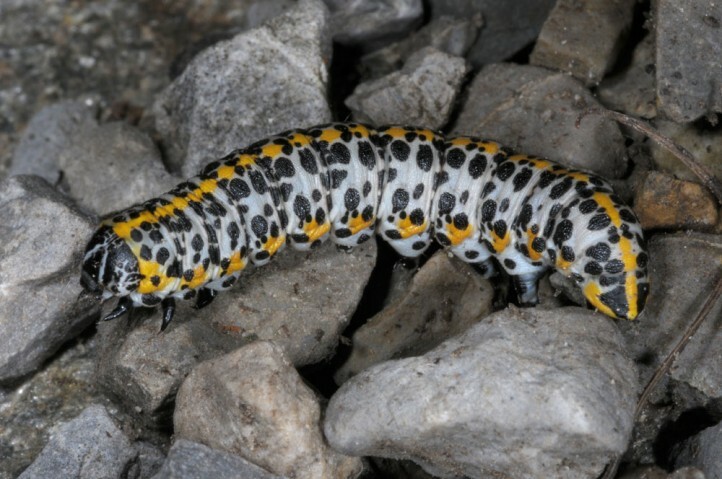 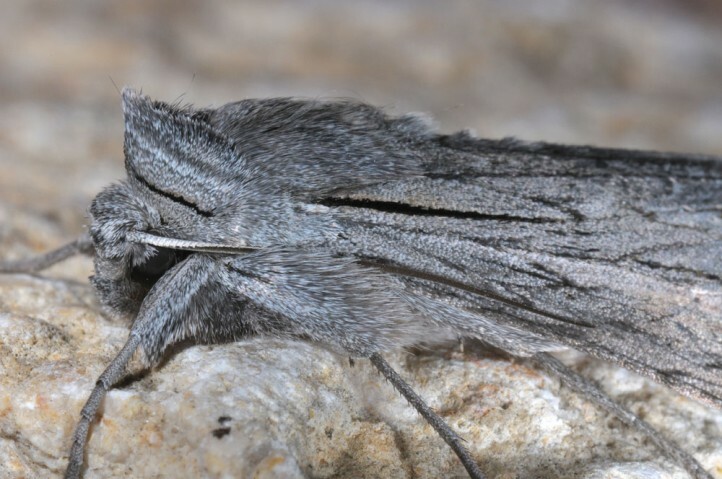 They require large habitats or those in close networks so that in Central Europe stable populations probably can be expected only in the Alpine region and with remnant populations in a few mountain ranges (southern Black Forest). 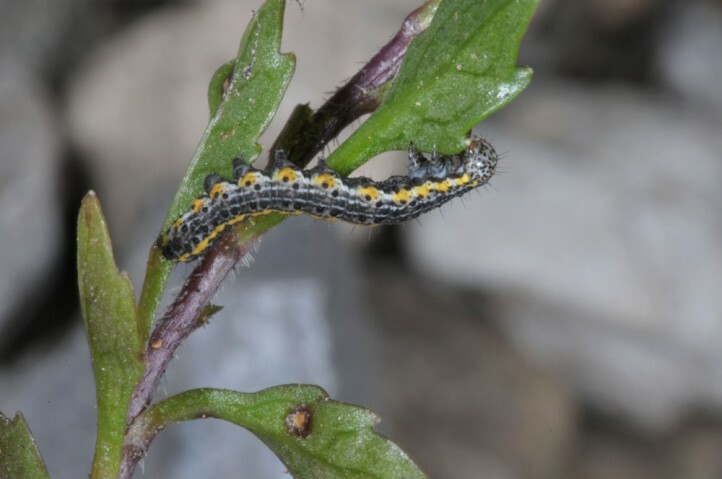 But here the situation is successively deteriorated from the valleys up to the mountains (keywords agricultural intensification as manure management and overgrazing, reforeatation on the other hand and mass tourism). 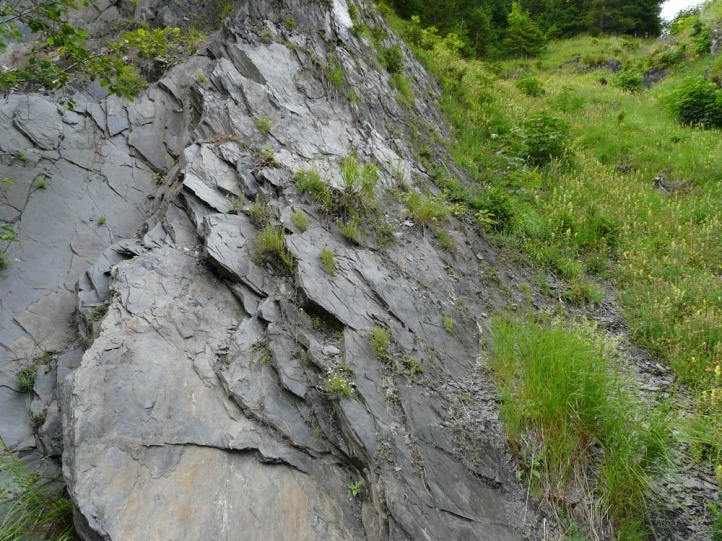 The total distribution ranges from Northern Spain across the Central European mountains (also in the Apennines) to the Carpathians, the Caucasus and the Urals.